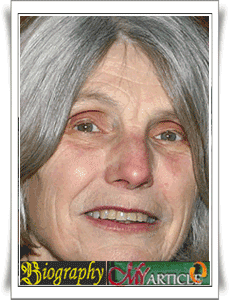 Lesley Caryl Churchill is a British national playwright known for the non-naturalistic techniques is to use and often the theme of feminism, abuse of power, and gender politics in a drama script. He was the only child of Robert Churchill, a political cartoonist, and Jan, who is a model, actress, and a secretary. After World War II, Churchill and the family moved to Montreal, Canada. He returned to England in 1956 to study at Lady Margaret Hall, a college for women at Oxford University. In 1960, he successfully completed his studies and won a Bachelor of Arts in English Literature. He also began his career there with four first work that is "Downstairs" "You've No Need to Be Frightened", "Having a Wonderful Time", and "Easy Death" staged by Oxford student drama group. Circa 1960-1970, career and personal life started to flourish. He met David Herter paada 1961, then married and has three children. While taking care of his family in North London, Churchill began writing short scripts for BBC Radio radio plays, including "The Ants", "Not, Not, Not, Not Enough Oxygen", and "Schreber's Nervous Illness". In addition to radio plays, he also wrote the script for the BBC TV drama. As well as radio plays, some titles TVnya drama adapted for staging. The majority of Churchill plays written by his own life experience that most very sad. In the early '70s, Churchill switched to the world of theater. "Owners" is the first drama since he plunged into the world, produced in London in 1972. Making this drama took him as Chief Scriptwriter at the Royal Court Theatre in 1974-1975. The first work was a crowded public attention "Cloud 9" in 1979, tells the story of gender politics air-setting British rule in the Victorian era. The drama is getting a very good response both in America and the UK alone. The success of the play makes it awarded the 1982 Obie Award for Best Drama of the Year category. In the years that followed, Churchill increasingly active writing scripts that are produced and staged at the Royal Court Theatre and directed by the great director in his day as Max Stafford-Clark. The ability to write plays that have been sharpened over the years makes Churchill often awarded, for example Obie Award, Evening Standard Award, and the Susan Smith Blackburn Prize Fen. Churchill is the latest work of Seven Jewish Children in 2009.